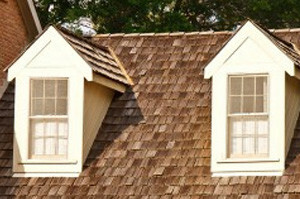 Shingled Roofing | Cedar Shake Roofing | Slate Tile RoofingEnhancing the lives of our Chicagoland customers, by using the finest quality roofing products and workmanship is one of the jobs that Naperville Exteriors, Inc. does, in addition to delivering the best possible results. Our roofing contractors possess the mechanical capabilities and high integrity we expect in our employees, and we train them in the techniques and procedures of our company and our trade. You will discover that our roofing contractors are both courteous and respectful of you and your property. Furthermore, we will do all we can to ensure that your roof repair or roof replacement is a positive experience. We provide the kind of professional services and unrivaled workmanship in roofing that all of our customers are looking for. In addition, we trulyvalue our clients’ homes and businesses, which is why so many Wheaton homeowners and business owners bring their roofing projects to our attention. Naperville Exteriors, Inc. is one of only six certified GAF TruSlate installers in Illinois. Our natural looking roofing shingles come in an array of colors, widths and thicknesses. These are all great reasons why Wheaton residents consistently consider us as their first choice for roofing! Wheaton, Illinois is an affluent city in and the county seat of DuPage County. There are approximately 53,469 residents in Wheaton. In 2010, Money Magazinelisted Wheaton as one of the “25 Highest Earning Towns in the United States.” It is no wonder that Wheaton residents are interested in improving the appearance of their homes. If you discover you are in the market for roof repair or roof replacement services, it’s time to reach out to Naperville Exteriors, Inc. We will dispatch a highly-skilled technician to your Wheaton home to determine the condition of your roof and suggest the necessary roof repairs with an eye to your budget! We are always searching for better ways to assist our Wheaton neighbors improve the look and feel of their homes with new roofing. Our reasonably-priced roof repair and roof installation will protect your home and provide you with improved energy efficiency. Wheaton customers understand they can always count on Naperville Exteriors, Inc. to find doable and inexpensive solutions to their roofing needs. Homeowners and business owners know how important it is to hire reliable roofing contractors who will help you keep costs down while offering you top quality roofing services. Whether it is for routine maintenance for minor roof repair or for a more extensive roof replacement, Naperville Exteriors, Inc. can help! Immediate attention to a leaking roof makes it easier to avoid expensive roof replacement. Prompt intervention is undoubtedly the best response that will most likely result in minimal roof repairs. We have the talent and ability to provide roofing assistance and reasonable rates. With our incredible reputation of providing roofing services and roof repairs at rock bottom prices, clients can depend on us for all their roofing needs. To schedule an appointment for a free estimate, call Naperville Exteriors, Inc. today at: (630) 254-4831.